In the run-up to last year’s referendum in the UK, over three articles Euronews examined the ebb and flow of Britain’s troubled relations with the European Union: the first from its entry in 1973 and through the Thatcher years; the second in the 1990s in the run-up to the euro, and the third looking at the impact of EU expansion from 2004. In this follow-up, we look at the key events over the year since the date of the EU referendum was announced, to the triggering of the UK’s formal exit process from the EU. The ruling Conservative Party’s divisions are immediately exposed as five Cabinet ministers back Brexit – and are joined by London’s colourful ex-mayor, Boris Johnson. He is slammed as an opportunist but his charisma and vivid visual and verbal denunciations of the EU – “Britannia’s arranged marriage”… “the biggest stitch-up since the Bayeux tapestry” – guarantee media coverage. Two rival campaigns go full throttle to pull Britain out of the EU. They identify what Cameron has failed to stop: mass migration from Europe. “Take Back Control” of Britain’s borders – and other powers surrendered to Brussels – becomes the rallying cry. Controversial claims – that £350 million “sent to Brussels” every week could be diverted to the health service, that “Turkey is joining the EU” – are hotly contested, but grab headlines on a theme that resonates with voters. A pivotal moment comes when official figures show net migration was 333,000 in 2015, the second highest on record. The EU itself is disparaged as a failing institution, responsible for the eurozone crisis and incapable of dealing with a mass influx of refugees. In contrast, the cross-party “Britain Stronger in Europe” campaign struggles to inspire. The message from “Remain” is often negative: former prime ministers warn of the UK’s possible break-up; Brexit would be damaging, even disastrous for the economy. Warnings from the Bank of England governor, the Treasury, the finance minister, countless economists and institutions, even US President Obama – are dismissed by the other side as “Project Fear”. A researcher who tells a public meeting in Newcastle that Brexit would depress GDP is heckled: “That’s your bloody GDP, not ours”. A defining moment comes in a Sky News interview when Michael Gove utters only half his intended sentence before an incredulous Faisal Islam interrupts. Later it is claimed the justice minister’s comments are taken out of context, but his words – “people in this country have had enough of experts” – ring out loud. The prime minister’s Brussels deal is all-but-forgotten. Decades of EU-bashing in the press (and indeed by Cameron the pre-vote Eurosceptic) – whether justified or not – make advocating the EU’s benefits a hard sell. A week before the vote the Labour and pro-Remain MP Jo Cox is murdered by a far-right extremist; the campaign is halted but Leave’s momentum is unchecked. Opinion polls do not reflect its full impact, but a well of resentment – against the EU, and the class who champion its cause – has been building up. Unlike in parliamentary elections with their mostly safe-seat constituencies, for once everyone’s vote counts. With what Theresa May later characterises as “quiet resolve”, 17 million Britons are preparing to upset the establishment apple-cart. 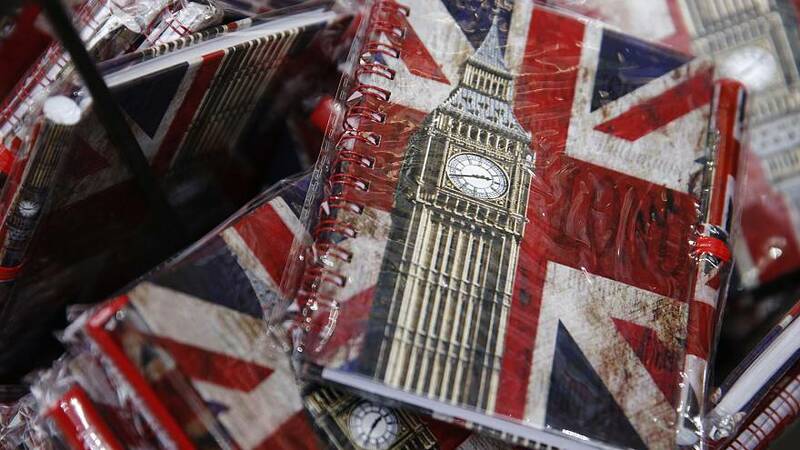 On June 23 the United Kingdom votes on EU membership for the first time since 1975. Turnout is relatively high, at nearly 72%. As June 24 dawns it is clear that the UK has voted to leave the European Union. The result – 52% to 48% – has divided the country. Scotland has voted by a large majority to remain in the EU. Northern Ireland has also voted to stay, while England and Wales have opted to leave. David Cameron immediately announces his intention to step down as prime minister. Nigel Farage hails June 23 as “Independence Day”, calls for a “Brexit government” and later resigns as UKIP leader, saying he has “done my bit”. Boris Johnson is booed by Remain supporters as he leaves home. Scotland’s First Minister Nicola Sturgeon says the prospect of Scotland leaving the EU against its will is “democratically unacceptable”. As the pound plunges to a 31-year low, international reaction is stunned. German Chancellor Merkel expresses “great regret”; similar sentiments come from other EU leaders. Vowing the “Union of 27” will continue, EU Commission President Jean-Claude Juncker calls for the vote to be given effect “as soon as possible” to avoid uncertainty, but Cameron says he will leave to his successor the decision over when to set the formal Brexit process rolling. The result is hailed by leading European Eurosceptics such as Marine Le Pen in France and the Netherlands’ Geert Wilders, who call for referendums in their own countries. Over the coming months, the factors behind the UK’s momentous decision are dissected. Migration, sovereignty, globalisation, austerity and income inequality are often cited. “Emotion trumps rational analysis” is an alternative view. For now, EU leaders agree not to put pressure on Britain to set in motion the untested two-year negotiation process for leaving the EU. But they reject pleas for informal discussions in the meantime. Angela Merkel also reminds the UK there can be “no cherry-picking” of EU benefits and that internal market access is conditional on accepting freedom of movement. David Cameron signs off saying he wants post-Brexit Britain to have the “closest possible” relations with the EU. Domestically, the race is on to replace him as leader of the Conservative Party leader and the country. After a period of turmoil that sees Johnson, Gove and others fall by the wayside, on July 11 Theresa May is declared the winner and the UK has its second female prime minister. Discreetly pro-Remain in the campaign, she is seen as capable of bridging Tory divisions. “Brexit means Brexit and we will make a success of it,” she says to cheering supporters outside Parliament. May’s new Cabinet includes prominent Leave campaigners including Foreign Secretary Boris Johnson, a surprise choice as Britain’s chief diplomat. The new prime minister tours European capitals. In Berlin, Merkel backs her decision not to trigger Article 50 before the end of 2016. May tells other leaders that UK voters have sent a “very clear message” on reducing migration. Under scrutiny domestically to spell out Britain’s Brexit plan, she remains equivocal: “We need to find a solution that addresses the concerns of the British people about free movement while getting the best possible deal on trade in goods and services.” A British-Irish Council summit addresses Scottish and Welsh concerns, and the unwelcome prospect of a hard EU border between Northern Ireland and the Irish Republic reopening old wounds. The summer sees media reports of chaos and turf wars as government departments struggle to get up and running. Diplomats on both sides begin to size up the complexity of the negotiations lying ahead (months later the UK’s envoy to the EU Sir Ivan Rogers will resign, criticising “muddled thinking” and “ill-founded arguments” on Brexit). But much of Britain sees no clouds on the horizon: consumers defy economists’ predictions of a slump, and the weaker pound encourages foreign tourism – though an unsavoury downside is a reported rise in hate crimes against foreigners. On a storefront in Cornwall, alongside the flags of the UK’s home nations flies that of the European Union – crossed out by two diagonal red lines. The early autumn brings few concrete developments: the UK is still an EU member. But the post-referendum, pre-negotiations period brings plenty of verbal sparring in what is described as a “phony war”. Theresa May tells parliament she will not give a “running commentary on negotiations” in the face of growing questions over whether the UK can – or at least will seek – to remain part of the EU’s single market and customs union. By now former EU Commissioner and French politician Michel Barnier has been appointed to lead the Commission’s Brexit negotiations with Britain – some in the UK press see it as an “act of war” given his previous clashes with the City of London. Ex-Belgian prime minister and ardent federalist Guy Verhofstadt is to lead the European Parliament in the talks. EU Council President Donald Tusk tells May “the ball is now in your court”, urging the UK to start the formal Brexit process “as soon as possible”. In his State of the Union address, Juncker repeats there can be no “à la carte access” to the single market. The Visegrad group of central European states warn they will veto any Brexit deal that restricts the free movement of their countries’ citizens. Non-EU countries intervene too: Norway and Canada question whether their respective trade models with the EU are suitable for Britain, while at a G20 summit Japan appeals for UK-EU business as usual. Carmaker Nissan’s boss warns future investment could be scrapped unless compensation is paid for Brexit-incurred losses (the firm later commits to its Sunderland plant’s future following unspecified government support and assurances). In government, Boris Johnson continues to entertain and occasionally depart from the script. In Berlin the French and German finance ministers snigger and promise to “send her majesty’s foreign minister a copy of the Lisbon treaty” after he dismisses the significance of free movement as “baloney”. Later, a Czech newspaper reports the expression he uses as “hovadina”, which is retranslated into English in a variety of still more colourful terms. The Foreign Office cannot confirm which word the minister actually used. the implication that a ‘hard’ Brexit is more likely causes the pound to hit a new post-referendum low. Business groups appeal to May: any deal denying full access to the single market should be ruled out. EU leaders fear the UK’s demands may be unrealistic. “There must be a threat, there must be a risk, there must be a price,” France’s President Hollande says of Brexit. “You can’t have one foot in and one foot out,” Juncker adds. Merkel warns of the consequences of an EU where “everyone does and is allowed what they want”. The government’s procedural plans for Brexit are dealt a blow in early November. The High Court rules that the Article 50 divorce process from the EU requires a vote by parliament; the government has argued it has “prerogative powers” to act unilaterally. Some in the pro-Brexit camp fear parliament may overturn the referendum result. Nigel Farage, back as interim UKIP leader amid internal party turmoil, speaks of “betrayal”. Pro-Brexit newspapers vent their fury: front pages castigate the judges for resisting “the will of the people”. More embarrassment follows when a report by professionals from several fields says the government should unilaterally guarantee the post-Brexit rights of European Union nationals living in the UK. The issue has raised its head in early July when MPs voted massively to uphold their status. Despite horror at the prospect of people being used as “bargaining chips”, the government sticks to its guns – arguing a deal must be reciprocal, taking account of UK citizens living in the EU. Theresa May says she wants an early deal in negotiations (much later, in March, Commission negotiator Michel Barnier says sorting the issue will be a priority). At the year’s final EU summit in Brussels May is not invited to the dinner and leaders only spend 20 minutes on Brexit. Meanwhile the international context has changed. Donald Trump has been elected US president causing shockwaves everywhere. The tycoon has already celebrated Brexit and later says “the UK was so smart in getting out”. Sandwiched between a hostile Russia and a US President describing NATO as “obsolete”, the EU suddenly has bigger concerns than the UK’s departure. As 2017 dawns, Britain’s economy has continued to perform better than expected, prompting more criticism of economists’ forecasts. The country has already been eyeing up future trade beyond Europe. Within a week of President Trump’s inauguration, Theresa May visits Washington and invites him for a state visit in the UK. 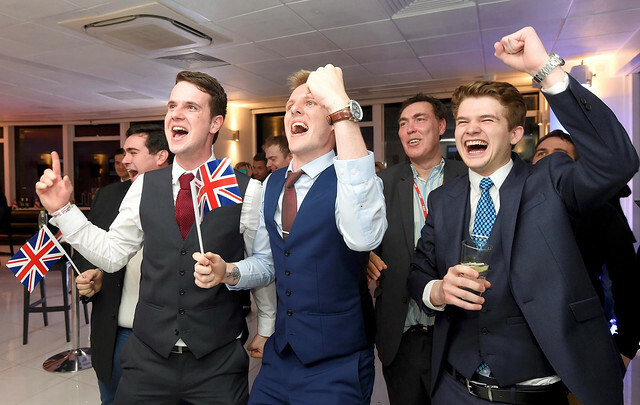 “June 23 was not the moment Britain chose to step back from the world. It was the moment we chose to build a truly Global Britain,” she says in a new speech on January 17. The prime minister also confirms that Britain is to leave the single market, saying no deal with the EU would be better than “a bad deal for Britain”, and warning that punishment by the EU for Brexit would be “an act of calamitous self harm”. It brings a negative response from some EU leaders – and in Scotland. Just as EU divorce proceedings look imminent, the SNP’s Nicola Sturgeon says her attempts to secure Scotland’s future have hit a “brick wall” in London, and announces her intention to seek a second independence referendum within two years. May later responds: another vote one day is not ruled out, but “now is not the time”. As the March deadline approaches, different sectors of the economy – from farming and fishing to industry and services – lobby the government. EU leaders insist the terms of UK’s exit must be agreed before future trade arrangements can be sorted. A House of Lords report argues the UK could exit the EU legally without paying, but Juncker says the British can expect a hefty departure bill. Fears that the gulf between the two sides may be unbridgeable, the obstacles too great, prompt speculation that negotiations may collapse with no deal. There is talk that compromise may be hard to sell to the British public, given the prevalent jingoistic mood among the press and an army of Union Jacks on social media. The EU will be entering negotiations with its own future at stake: divisions have emerged over the union’s future direction. Member states have different priorities over Brexit, but they seem united in backing a hard bargain. Meanwhile the UK’s procedural matters have been settled: the Supreme Court has confirmed that Parliament must have a vote before Brexit is launched. Although the House of Lords defies the government over the rights of EU nationals and demands a “meaningful vote” on a final deal, the objections are overcome and the European Union (Notification of Withdrawal) Bill is passed into law. Theresa May says she will trigger Article 50 on March 29. The weekend before the crucial date, the European Union celebrates the 60th anniversary of its founding charter, the Treaty of Rome. The British prime minister does not attend.